First of all: Huge thanks to all who have already bought “macOS Installation”! Even more thanks to all who have already left reviews, or already got back to me with feedback. 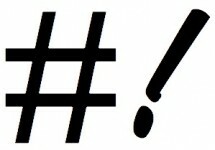 I am quite overwhelmed by all the positive and even excited responses. During the week-end, the book actually broke in the US iBooks Store top #200! All three of my books totally dominated the “System Administration” category. I have to admit, this probably says more about the fact that the iBooks Store has turned into a total ghost town. It is still something to celebrate. If you have not yet bought the book: get it on the iBooks Store! If you are reading or have finished the book already, then please leave a review on the iBooks Store. All of that said, today I pushed an update for my other two books to the iBooks Store! The main motivation was to update the “More Books” section in both with a link to the new book. But along with came a bunch of small fixes, corrections and even new subsections that have accumulated since the last update. 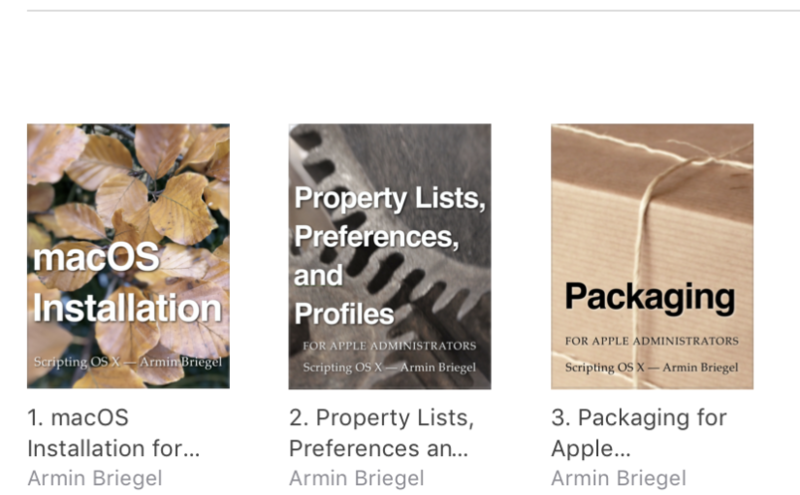 (These are the eighth update for “Packaging” and the third update for “PR3”) You can see the details in the version history section in the iBooks Store and in each book.